We are especially grateful to Dr. Underwood’s service to the Chamber and the community. 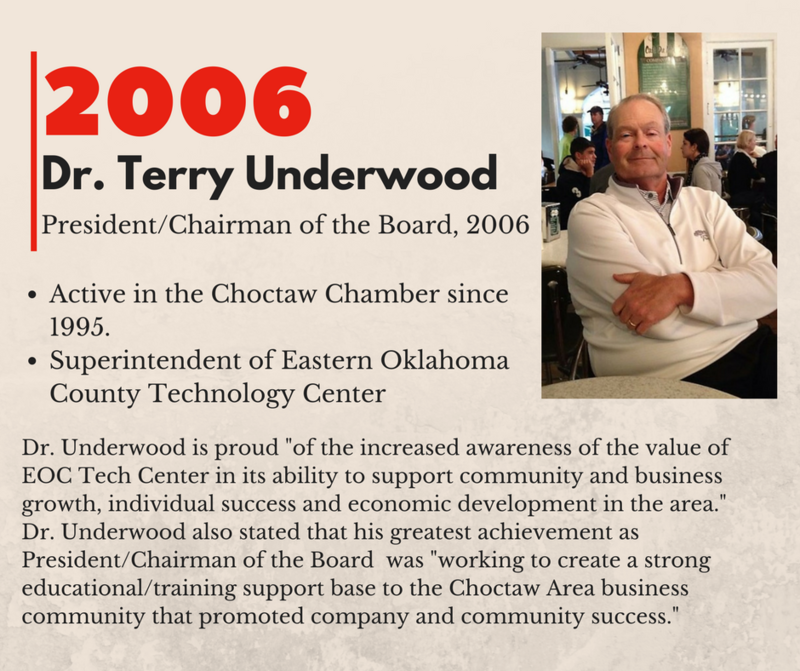 Dr. Underwood’s commitment to building and bettering relationships between the EOC Tech Center and the business community in Eastern Oklahoma County is invaluable. EOC Tech Center offers business consulting and training resources comprised of specialists experienced in a variety of industries. From training for new technologies, to strategic planning for business ventures, to specialized safety training for the workplace, EOC Tech offer services to develop, enhance and ensure the success of local businesses. Thank you, Dr. Underwood, for all that you have done, are doing and will do for our local businesses and members.